Don’t miss the first exciting collection of The Legion of Super-Heroes’ series that launched in 1984! In this fast-paced, futuristic title, collecting the first six issues of the series, The Legion learns of a conspiracy by a consortium of evil calling itself The Legion of Super-Villains to destroy the team — and it’s Karate Kid who pays the ultimate price! 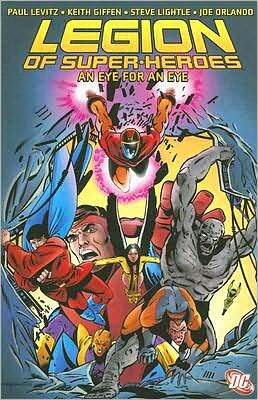 After so many time, we need Vol.3: The New Generation (LSH Baxter #14-#20).